USO Manager of Volunteer Operations Allison Nalley introduces the USO Volunteers of the Year for 2018. 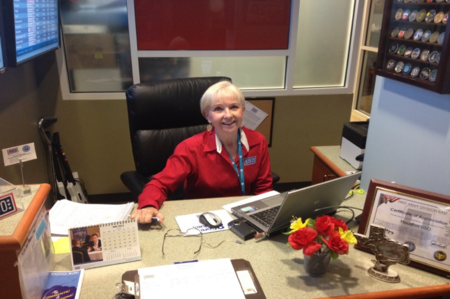 Ruth Reid knows how important a fresh cup of coffee can be for USO visitors. For some, it is the bright beginning to the day or a feeling of fellowship. For others, it helps ease a stressful journey. So, at 4:00 a.m., when most people are still snuggled in their beds, Ruth is already at her USO duty station with coffee percolating as she prepares USO Houston at Bush International Airport for its 6:00 a.m. opening. As she serves up her signature coffee with tender loving care, she takes the opportunity to assess the visitors needs. She knows when to listen and when to speak with words of comfort. Visitors often seek her out to thank her for the talk, for listening, or to offer gratitude for solving a problem. When she’s not interacting with visitors, she can be found helping staff to prepare training materials, to track foot traffic, and to record in-kind donations. Knowing how busy staff can get, she always finds efficient and effective ways to do business to save them time. Ruth is the kind of volunteer organizations dream about. She is the perfect combination of dedication, consistency, dependability, and integrity. She embodies the USO mission, heart and soul. 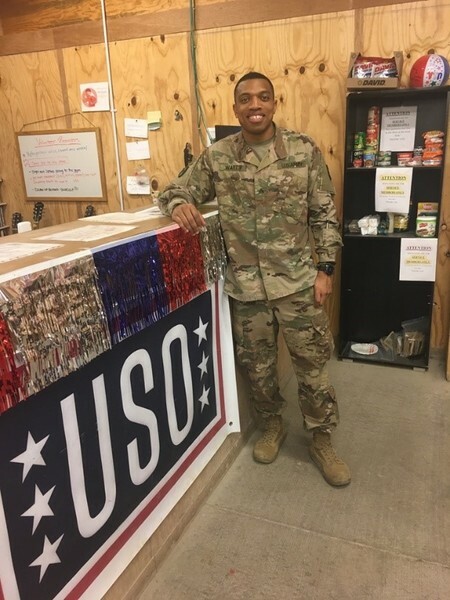 In the devastating aftermath of Hurricane Maria that devastated Puerto Rico in 2017, David Shultz tirelessly helped build four pop-up USO locations to support service members who assisted in the island’s recovery. 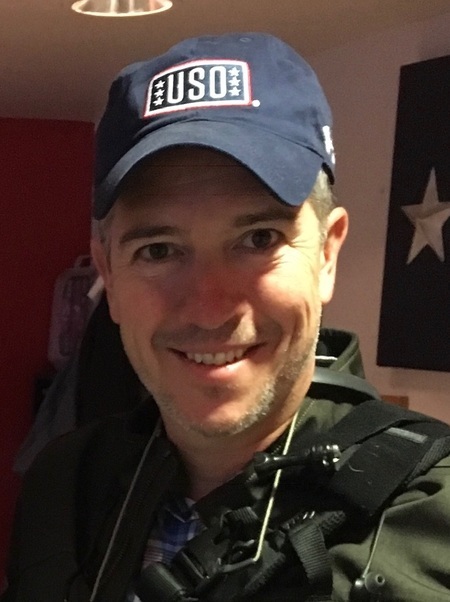 As the main point of contact in a very hectic situation, David spent hours driving through storm-ravaged streets and neighborhoods to deliver supplies to the USO locations and assess needs. Countless times he coordinated shopping trips to the few stores open on the island, securing snacks, water and other goods to ensure service members were supported as they helped citizens left stranded. As the emergency eased, David then hosted morale-building programs such as “Operation That’s My Dress” so those stationed in Puerto Rico could feel both a sense of joy and a little bit of normalcy in their lives. Through it all, David’s hard work and selflessness ensured the troops helping Puerto Rico recover had everything they needed to stay connected to family, home and country. Benjamin Watts knows what it’s like to live in the middle of the desert, far from home and away from creature comforts. So, when he learned that the USO would open a center at Al Asad in Iraq, he volunteered to manage it until a full-time staff member could be hired—all while performing his regular Army duties. This was no small task. Keeping the center open included recruiting additional volunteers, planning activities and overseeing center resources. In the true spirit of connecting service members to family, home and country, Benjamin paid special attention to ensuring that every phone and computer was in top running order. As a result, the men and women stationed at Al Asad can use the 24-hour center to contact their families and friends at any time, day or night. This is a tremendous morale booster for service members who sacrifice so much in their personal lives to protect our freedoms. Benjamin is the dedicated volunteer that USO Al Asad needed during its time of growth and his hard work allows the center to continue to thrive.